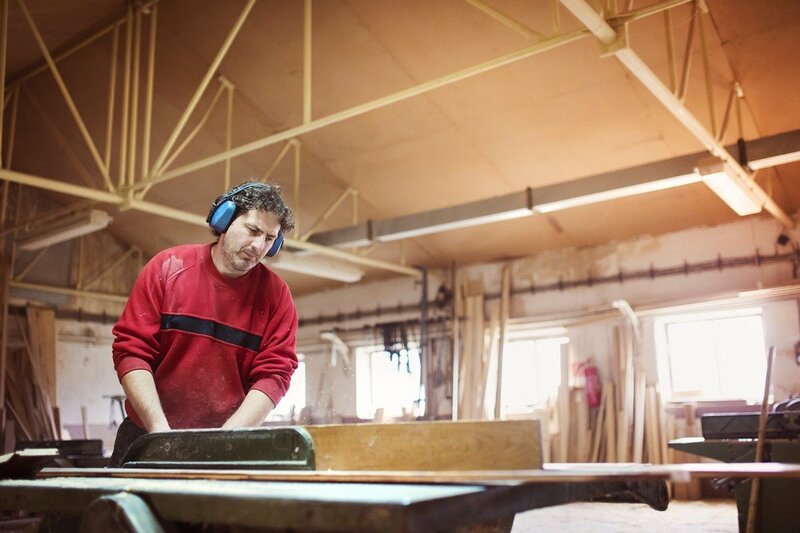 As a professional or hobbyist woodworker, you likely already own a table saw. It’s the best way to make accurate woodcuts quickly. A quality fence can reduce your cost by reducing time spent recutting material and in less wasted material. The only problem is that even high-quality table saws come with poor- quality stock fences. That’s why so many people invest in aftermarket table saw fences. Here at Tool Tally, I will help you get the best table saw fence to deliver professional results every time. Any woodworker will tell you that the most difficult cuts to make with a table saw are angled miter cuts. Well, Kreg has made an aftermarket table saw fence that will help make cutting precision miter cuts a whole lot simpler. That’s because this aftermarket table saw fence from them has a built-in, highly-precise miter gauge. What I like about this aftermarket fence is how quickly it enables a person to change the angle of the miter cuts they desire to make. It not only has built-in brass pin positive stops for common miter cuts such as 0°, 10°, 221/2°, 30°, and 45°; but it also includes a Vernier scale for 1/10 of a degree adjustments and a handy micro adjuster for precision miter movements as small as 1/100th of a degree. Everything on this fence speaks of quality and durability too. It is made out of corrosion resistant anodized aluminum. 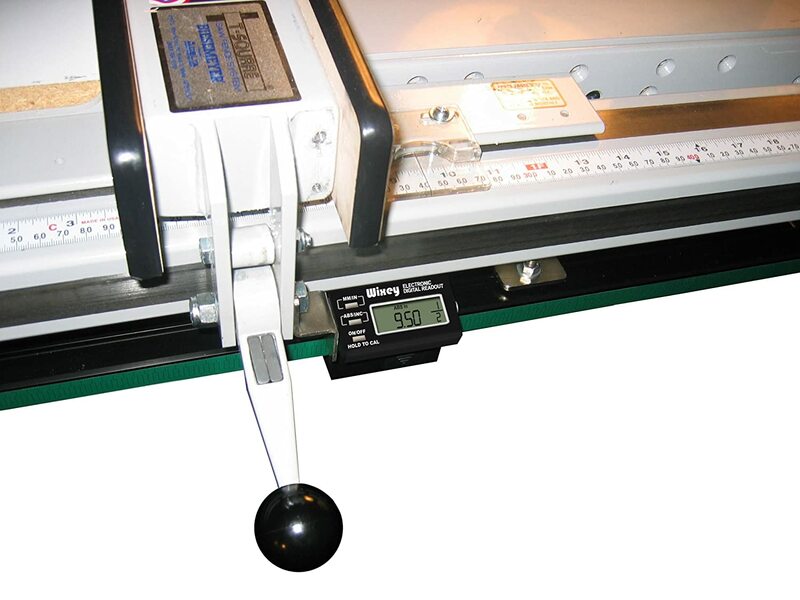 The miter gauge itself is also computer milled for accuracy right out of the box. Kreg is so confident in the way this aftermarket fence is made they back it up with a limited lifetime warranty. This table saw fence is perfect for those who have to make precision angled miter cuts on a regular basis. With its built-in miter scale, it saves a lot of the setup time that is typically required to hand-angle a fence. This option is best for most of our home shops. The ability to make angle cuts with ease can help relieve the pressures on your miter saw (And even your circular saw). However, for the shop that just wants a high-end fence, my top pick is the Vega reviewed below. Here is a really nice 50” aftermarket fence from the reputable brand, Vega. This fence is perfect for woodworkers who predominately use their table saws for rip cuts. It makes doing these types of cuts fast and accurate, yet without compromising proper table saw safety. One of the best things about this aftermarket table fence is that it can be used on a wide variety of different table saws. 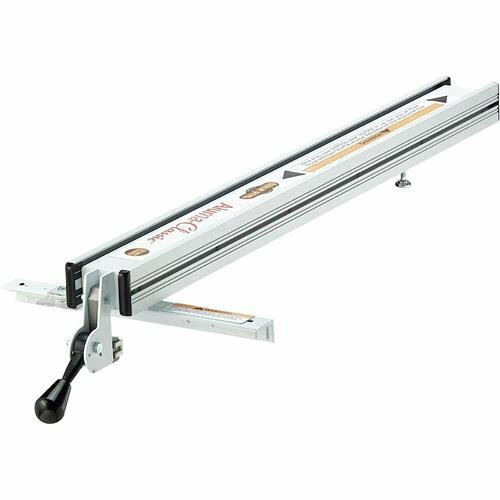 It is easy to install on any table saw that has mounting holes that are 8” or 9” inches on either side of the blade. Even the table saw models that it does not fit requires only a few holes to be drilled to make it work just fine. It comes with a 50″ long front fence that will enable any user to make rip cuts as much as 42” inches wide. The fence is designed to lock so that it will stay perfectly parallel to your table saw blade. The Vega fence even has built-in micro adjustment capability for woodworking projects that require high precision. The Vega Pro 50 table saw fence is built solidly to last you a long time too. It’s a little too the heavy side because of its solid steel construction. With its sturdy construction and its ability to lock firmly into place; it will help any user make repeated rip cuts quickly and safely. Tthe Vega Pro is longer and is more robust fence head that is suited to cabinet shops that need more support but who don’t want to be hampered by rear rails. The hobbiest might find it a little more than they need, but they will appreciate the security and reliability. Shoppers often compare the Vega fence to Biesemeyer fencing. The Biesemeyer fence is more expensive and is traditionally a top choice for commercial shops. Practically speaking, the Vega Pro is every bit as useful and is likely the better choice. Shop Fox has an excellent reputation when it comes to making aftermarket table saw fences and other products that help saw users make safe and accurate cuts. This W1716 model from them fits many different brands of table saws and is rated very highly by those that have purchased and used it. It’s a favorite of professional woodworkers who have to make numerous rip cuts. This alumaclassic fence from Shop Fox has many nice features built into it to help make doing rip cuts with a table saw very accurately. One of them is its heavy duty single cam locking lever that keeps this fence firmly in place as you use it. Another great feature I like is its included self-adhesive measuring tape with a magnified cursor; it helps the user make rip cut width adjustments quickly. When you first try to pick it up you will be amazed at how heavy this aftermarket fence is. That’s a testament to how well it’s built. With its beefy combination steel and aluminum construction, it will last those that use it a very long time. It also includes adjustable fence wear pads that will help keep the actual fence itself from wearing out too quickly. This aftermarket table saw fence is excellent for those who need to make wide rip cuts that do not require a high degree of accuracy. It locks perfectly into place, so the rip cuts come out the same every time. If these fence rails are too pricey, the Shop Fox W1410 is an excellent cheap table saw fence rail. Here is another highly rated aftermarket table saw fence that’s made by one of the most reputable tool manufacturers you will find anywhere, Delta Power. 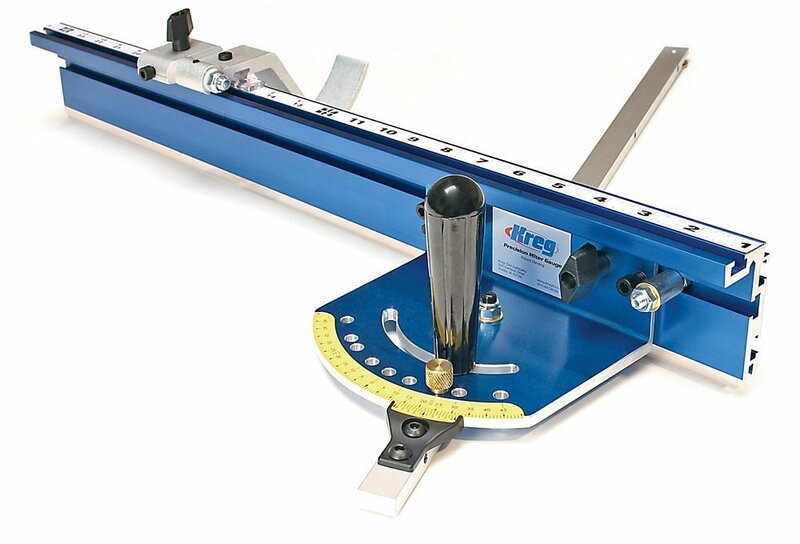 It provides parallel alignment for accurate rip and square cuts with up to 1/64th of an inch accuracy. This aftermarket fence kit includes the fence, steel guide with attached scale, front and rear support rails and all the necessary hardware to mount it. This fence adjusts quickly to your desired cut length thanks to its front rail, single cam secure locking system. Its steel guide system also includes an attached scale that will help you set up your next table saw cut quickly and accurately. The scale is big enough that it’s easy to read even from a short distance away. 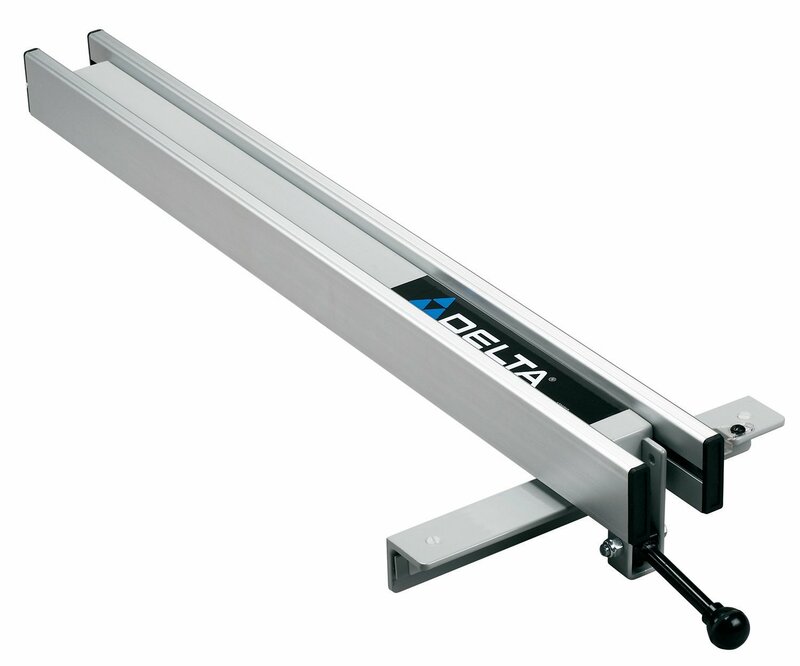 The Delta 36-T30T3 is one solid fence too that should last you a very long time if you purchase it. Much of that toughness comes from the fact its projected aluminum face attaches to a solid-steel angle iron body. Delta backs this aftermarket fence product up with a generous 2-year warranty. This aftermarket fence is a must have for those who do many rips, and square style woodcuts with their table saw. It lets you make repetitive square cuts quickly, efficiently and safely when using your table saw. The Delta 36-T30T3 fence is an excellent choice for use in complement with jigs and featherboards. A handy upgrade for your fence is the digital readout. These little screens help you get a more accurate alignment on your cut while making it easier to know exactly where the fence is with less finagling. These are typically an additional cost on top of the price of the fence. You’ll want to make sure that the digital readout you are buying will work with the brand of fence that you are purchasing. The Wixey WR700 Digital readout kit is a handy upgrade that is compatible with Vega, Delta and Biesemeyer fencing (although it can be adapted to most fences). You mount it to the underside of your rails and then it measures the movement of your fence in inches or millimeters providing ultimate flexibility and accuracy to .002 ” per foot. The magnetic interface means that you can remove your fence any time you need to, and it will keep it’s calibration the next time you install it. One of the handy things with this digital readout is that you can re-zero it against different blade widths. For example, if you install a dado blade, you don’t need to do a lot of fancy calibration. Merely move the fence to the blade and zero the reading. Now, you are calibrated and ready to set the fence properly. This is one of those features that dramatically speeds up the accuracy at which you are producing at and should be a top consideration for shops where speed is essential. What aftermarket table saw fence do I like best? I will start by saying any of the 4 that were reviewed here will make an excellent table saw fence purchases. They all have slightly different uses, too. Overall, I like the Vega PRO 50 Table Saw Fence System. There are three main reasons for this. The first is that it fits a huge number of table saws without having to do anything special to mount it. Secondly, when the width setting on and it is locked, it stays firmly in place to ensure consistent accuracy. Finally, the Vega fence even has micro-adjustability built into it to guarantee exact cuts when using it with any table saw. This is an aftermarket table saw fence that will satisfy almost anyone who purchases and uses it. What Exactly is a Table Saw Fence? Many of the cuts that a person makes with a table saw are what are known as rip cuts. They are one of the most challenging woodcuts to make because when ‘ripping’ a piece of wood, the saw operator is usually making a very long cut that goes with the grain. The length of these cuts can make it difficult to make straight and accurate cuts. Having a fence greatly aids a saw user because it acts as a guide when making these problematic woodcuts. A fence is a device that is mounted to a table saw in a way that it’s perfectly parallel to the blade. This makes it possible to do multiple rip cuts safely and quickly. Most fences can also be adjusted relatively easily so a table saw operator can quickly change the width of their cuts. Why Does It Make Sense to Invest in an Aftermarket Fence? As I mentioned earlier, even the best model table saws often come with fences that are woefully inadequate for the needs of professional woodworkers and hobbyists that use their table saws on a frequent basis. The companies that make aftermarket fences are keenly aware of this fact. Aftermarket fences are usually made to much higher quality standards than most supplied fences that come with a table saw are. For serious woodworkers that want speed and precision when making table saw rip cuts, an aftermarket fence is almost a necessity in most cases. You certainly don’t need a top of the line aftermarket fence if you are a hobbyist that does some occasional woodworking on the weekend. 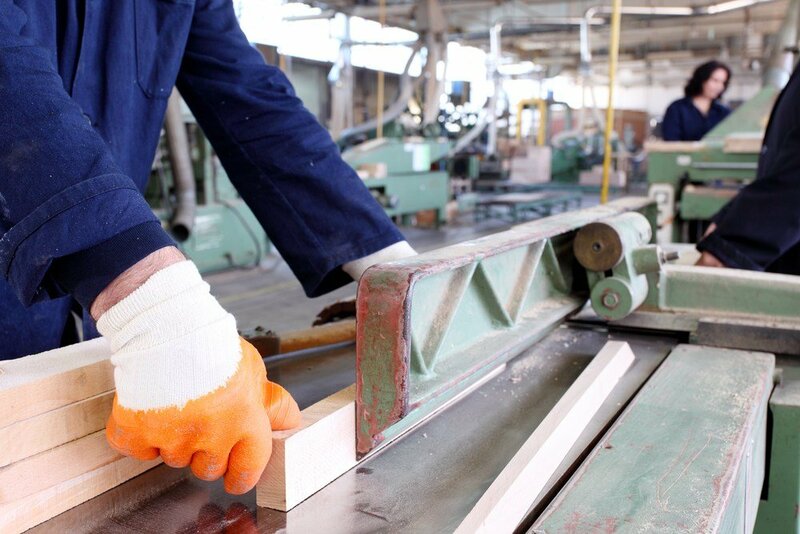 However, if you use your table saw every single day in the production of goods, your choice of a fence will impact how quickly you can turn out top-notch work. What is a Precision Rip Fence? Not all rip cuts have to be made super-accurately. If that’s the case when you are using a table saw, then you don’t need a high-quality table saw fence. On the other hand, if the table saw cuts you are making require a high degree of accuracy, then you will definitely want a precision rip fence. These are fences that are adjustable in tiny increments that help make doing rip cuts exceptionally accurately. Many times they can be set so they are accurate to within 1/100th of an inch. When they are being produced, precision fences are made using such strict production methods as computer milling to ensure their accuracy when a user is adjusting them. The Difference between Manual and Electric (Automatic) Fences? Some higher-end table saw systems have what is known as an electric or automatically adjustable fence. They eliminate the need for having to regularly walk around the table to adjust the width of your fence. Just a simple push of a button toggle switch will move them left or right into your next desired cutting position. The biggest problem with an automatic table saw fence system.. is that they move somewhat slowly. Some electric fences can even store frequently made cuts so they can be used in a production setting. Most use manually adjusted fences. That’s because they are cheaper and more practical to use for most people than electric fences are. Unfortunately, with these types of fences, you have to move around the table and adjust them with your hands. With new advances in aftermarket fence mounting and design, they now can be moved more easily and set up more quickly and accurately than ever before. This one has a piece of wood or another type of soft material attached to the face of it. It is best used when working with cuts that are small and done close to the table saw blade itself. This is done, so the easily changeable piece of wood or soft material gets nicked up by the saw blade instead of the main body of the fence itself. This is a fence that cradles a piece of wood that is being ripped not only to the side but also across a part of one end. It is used to ensure that a table saw cut is made as squarely as possible. There are table saw users that have to make many cuts that are not completely square. These angled cuts are what are known as miter cuts. A miter style table saw fence enables any user to set these angled cuts up quickly and accurately time after time. There are two main considerations when buying an aftermarket fence as far as installation goes. One is the size of holes that are predrilled into your table saw top. Most aftermarket fences are designed to fit the table saw tops that have predrilled holes either 8” or 9” from the blade (either side). Keep in mind this is not a deal breaker because you can also drill holes in your table saw top to accommodate your new fence. Buying an aftermarket fence that fits the specs on your table saw top would certainly make its installation go much smoother. The length of your aftermarket fence is important too. As a general rule, you want a fence that is nearly as long as the width of the table saw you are using it on. You also don’t want an aftermarket fence that hangs over the edges of your table saw once it has been mounted. Make Sure You Buy An Aftermarket Fence That Locks Perfectly Parallel to the Saw Blade? Aftermarket fence design has come a long way over the years. It is easier than ever before to find a fence that locks tightly in place in a parallel position to the saw blade. Why is this so important? It’s because it’s the main way to get your rip cuts to come out perfectly square and to the exact right width every time. Fences that flex when locked into place will cause more headaches than the little extra money you will save on them is worth. Is There an Easily Readable Scale Built Into the Fence You Want to Buy? If you make the same rip cuts over and over with your table saw, then you probably will not be too concerned if your new aftermarket fence has a scale built into it or not. The exact opposite is true if you make many different size cuts and you want to be able to set your table saw up quickly to do them. That’s when an accurate and easily readable scale that’s built right into your fence becomes an absolute must to have. You can also invest in a digital readout, like I mentioned earlier.